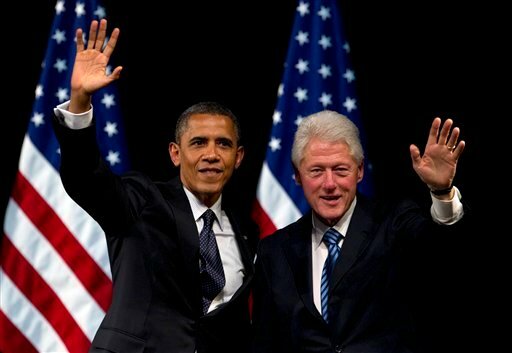 WASHINGTON — Former President Bill Clinton is promoting President Barack Obama in a new presidential campaign ad, the first to feature the two-term Democrat. Clinton says Obama has a plan to “rebuild America from the ground up,” and says that requires a strong middle class. Relying on Clinton, Obama is seeking to connect his presidency with the economic success of the 1990s. The 30-second ad comes as Republicans are seeking to create a wedge between the two Democrats by claiming that Obama wants to weaken welfare work requirement that Clinton signed in 1996. Clinton will have a prominent role at the Democratic convention and is featured in a 17-minute campaign film by director Davis Guggenheim.